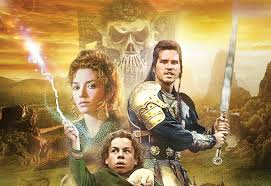 As a kid, I loved Willow. Two years ago, when it came out on Blu Ray, I received it as a Christmas present and spent that evening staring at the screen, once again a child watching a favorite story. As a kid, it’s pure magic. As an adult though… I can’t help but get the feeling that there is something terribly wrong with the female relationships in this film. Specifically, there’s a whole lot of parental rejection issues going on here. From the baby that has to find the right parents to the adult warrior princess Sorsha (JoanneW Whalley), Willow presents both the good and the bad that can come from maternal rejection. Let’s start with baby Elora, because she’s the one that has the most to gain in this scenario. At birth, she receives a type of rejection from her own mother, but only under the condition that her continued presence with her mother will lead to her death. Elora’s unnamed mother (which is really depressing if you think about it, seeing as the woman that birthed the new queen doesn’t merit a name) begs the midwife to take the baby and run, pleading, “Please. They’re going to kill her.” The midwife steps right up to the plate, protecting the baby for some time: when we first see Elora, she’s a dark red, angry newborn, but by the time the midwife parts with her, the baby has sprouted hair and has achieved the developmental milestones of cooing and smiling. This isn’t to last, however, as the midwife – the second mother figure for this baby – dies while literally sending the kid down the river, thus reinforcing that motherhood means that you sacrifice yourself for your child. 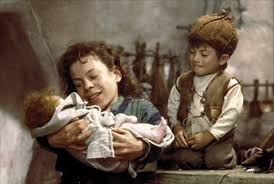 The only hope for Elora to gain acceptance from a parental figure is the Ufgood family, who accept the baby without a second thought… save for foster father Willow (Warwick Davis). At first, he wants nothing to do with the baby, telling his young son that they can’t keep the baby and that “we’ll push it downstream.” It’s Kaiya (Julie Peters) who eagerly takes in the baby, despite that her husband declares, “Absolutely under no condition is anyone in this family allowed to fall in love with that baby.” Willow is the one concerned with the baby being perceived as a bad omen, but he does display emotional attachment to her when he refuses to allow the child to be returned by Burglekutt (Mark Northover): “They’ll kill her, you can’t!” High Aldwin (Billy Barty) confirms this stance, asking, “Do you have any love for this child?” to which Willow affirms he does. From that point forward, he becomes the stalwart protector of the baby, going so far as to tell friend Meegosh (David J. Steinberg) upon parting, “Tell [Kaiya] I’m not going to let anything happen to the baby.” The mother can’t protect the child, but the father can; maternal rejection, in this case, means that the mother places her life in between her child’s and harm’s way, while the father has the ability to guide. Rejection therefore is a life-saving act when performed by the mother. Get those hugs while you can, kid. Sorsha doesn’t fare so well in this department. While baby Elora is saved by rejection from her mother, Sorsha is forced to endure verbal abuse and emotional distance from her mother in the name of self-centered maternal gain. Sorsha establishes herself as desperate for her mother’s approval at the start of the film, as evidenced by her unquestioning bidding of her mother Bavmorda’s (Jean Marsh) will. After all, she’s willing to kill a newborn at birth to make her mother happy. When the baby is not there, Bavmorda turns to snide remarks to cut her daughter down: “I didn’t ask you to bring me a dead nursemaid. Sorsha, you’re useless!” It doesn’t stop there: she tells her general in full earshot of Sorsha, “Help my daughter find that tiny, helpless baby the somehow continues to elude her!” Bavmorda’s henchmen can sense that this is going to backfire horribly, telling the queen, “One day, I fear your daughter will betray you.” Here’s the kicker: the mother does not doubt the power of the cycle of abuse and how difficult it is to break free from the patterns. So sure is she of her hold on her daughter that she declares, “I trust her loyalty more than I trust yours.” Bavmorda knows that this is a tough habit to break, and that her child will rely on her, continuing to come back despite the abuse. Maternal rejection in Sorsha’s case is a control mechanism: her mother does not seek to protect her life or help her live longer, but to leverage it into a type of service. 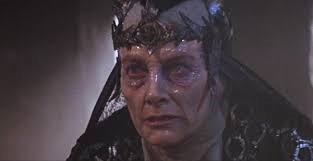 The only instance we see of Bavmorda displaying emotion upon learning of daughter’s switching of sides comes in an angry facial expression; there’s no forgiveness later, as Bavmorda first turns her daughter into a pig, then later attempts to impale her on some spikes. This is not how a normal parent behaves – the goal is to keep your genes going, not to murder your kid at the first sign of deviation from your values. This is where the theme of maternal rejection comes together: both Elora and Sorsha represent the opposing extremes of maternal rejection. In Elora’s case, she was sent away from three mother figures in order to save her life, as well as preserve the greater good. Motherhood for Elora means that someone will throw herself in front of a crazed beast to ensure that she survives, even if that means that she won’t have a mother around to care for her. In order to resolve this issue, she needed someone who couldn’t do this; she needed the Father, who stepped into the role of combative protector as opposed to meat shield momma. Sorsha, on the other hand, was the meat shield for her mother: of use only when she could help her mother achieve her ends, and available for slaughter when she expressed autonomy. We saw a demonstration of two poles: selfless and selfish, moral conviction and amorality, genetic perservation and solipsistic advancement. There’s no middle ground in this film – you’re either so caring that you’re willing to die for your child, or willing to kill your child. The face of motherly love. The only exception we get to this is Kaiya, owho stays home to raise her two children while her husband takes care of his charge. I would have loved to have seen more time with her, considering that the only ther mothers we got were either not around for more than two minutes pre-death or abusing their progeny to the brink of complete rebellion. And while it all worked out in the end, wouldn’t it have been nice if Elora – who had already gone through three mothers at that point – had the chance to be raised by someone that didn’t come from an abusive family, that, oh, I don’t know, knew how to give love and devotion without falling on a sword first?